My alarm went off at 6am this morning, and I don’t think I could have jumped out of bed faster. I hopped onto Insta, to see all of the guests starting to make their way to Windsor - and it was so exciting. #GeorgeandAmalGETIT. 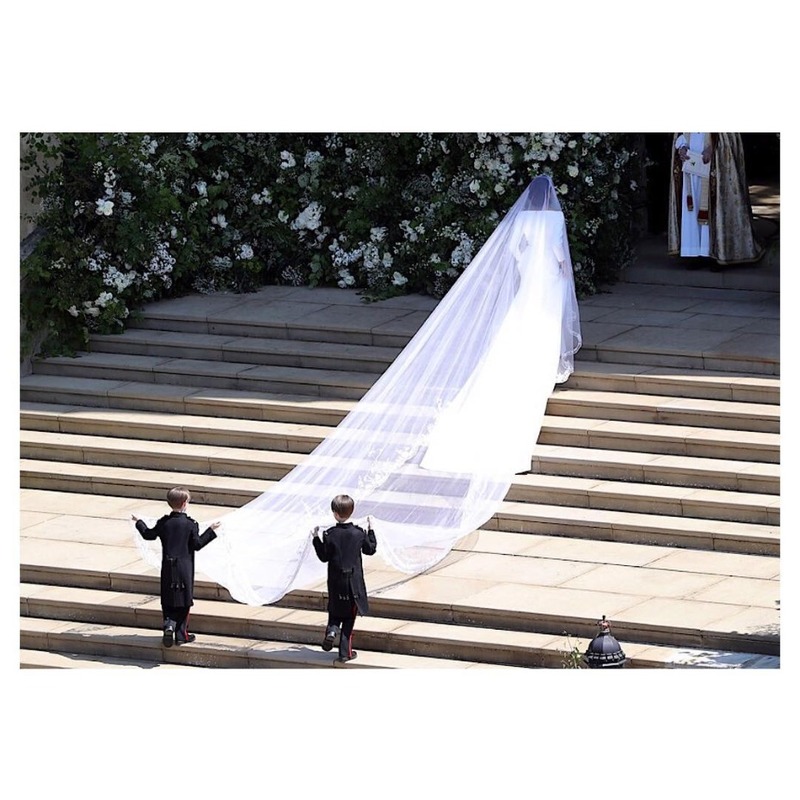 And as much as I’d like to say that Prince Harry owned the whole thing, the world might have stopped when his bride got out of the car and started ascending the stairs into the chapel, page boys gallantly gripping the 16-foot veil behind her. 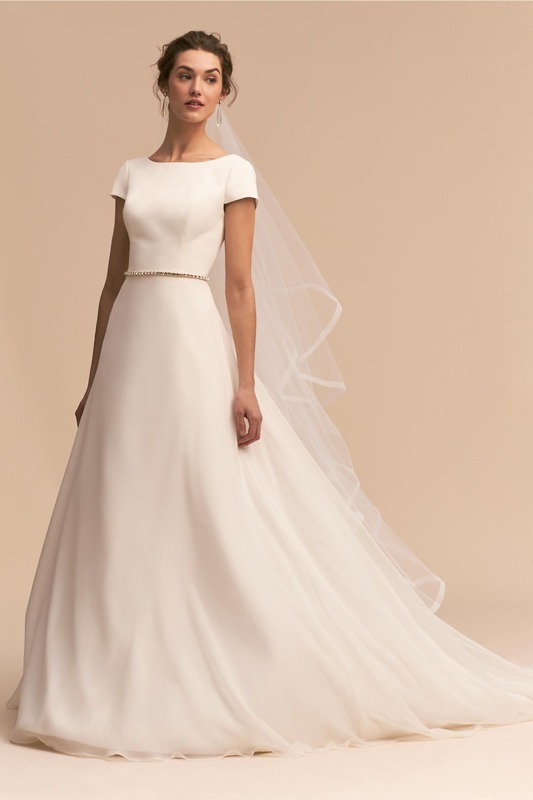 That custom Givenchy by Clare Waight Keller Haute Couture gown was everything we could have ever imagined for the new Duchess of Sussex. Sophisticated, streamlined, simple, yet infinitely statement. 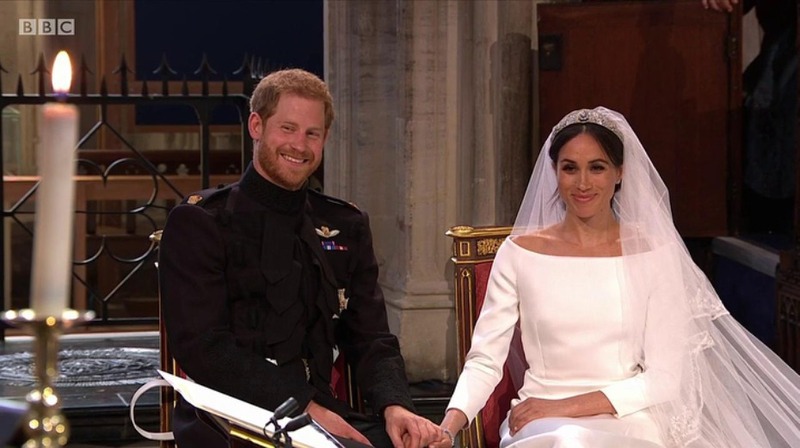 We won’t say that her debut was more dramatic than Kate Middleton's 7+ years ago, but we might say that just for a fewwww moments, the world forgot about the most recent Royal Wedding. It’s Prince Harry and Her Royal Highness all day, every day, at least for the foreseeable future. After sooo many months of speculation about what the style siren would wear on her special day, we truly couldn’t love her wedding wardrobe more. 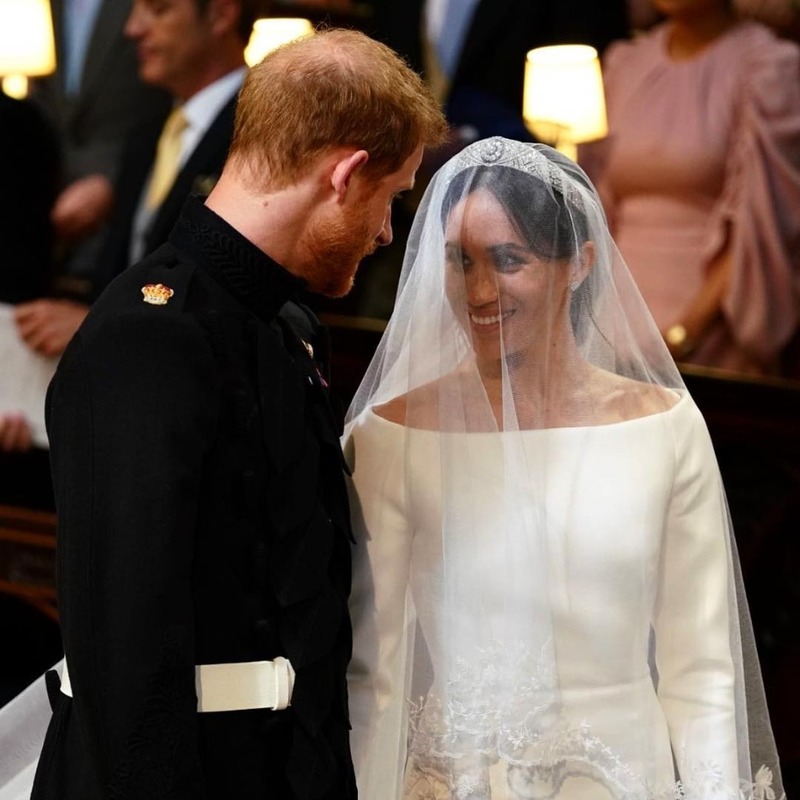 It’s kind of the epitome of elegance, femininity, and timeless beauty - and dare we say it, Ms. Markle looked even more Queen than Duchess as she ambled down the aisle towards the high altar. And the decision to go with a design house so famously connected to her own fashion muses (like Audrey Hepburn) was pretty much genius. Because yes, Givenchy is French, but its Creative Director, and Markle’s personal atelier, is all Brit and acclaimed for her romantic, fiercely feminine artistry. A magical match if we ever saw one! 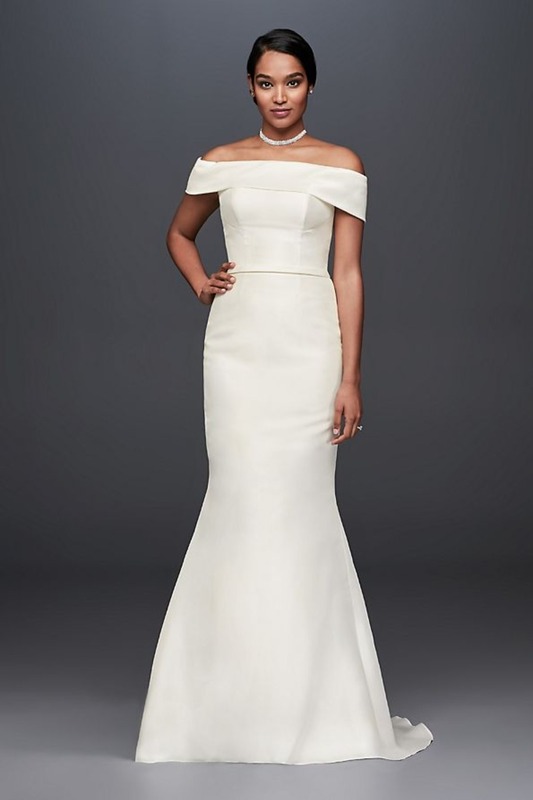 So, while bridal designers everywhere get started on some new sketches, with Meghan Markle as their royal role model, we decided we’d get a head start on showcasing some twinning looks that are already available. 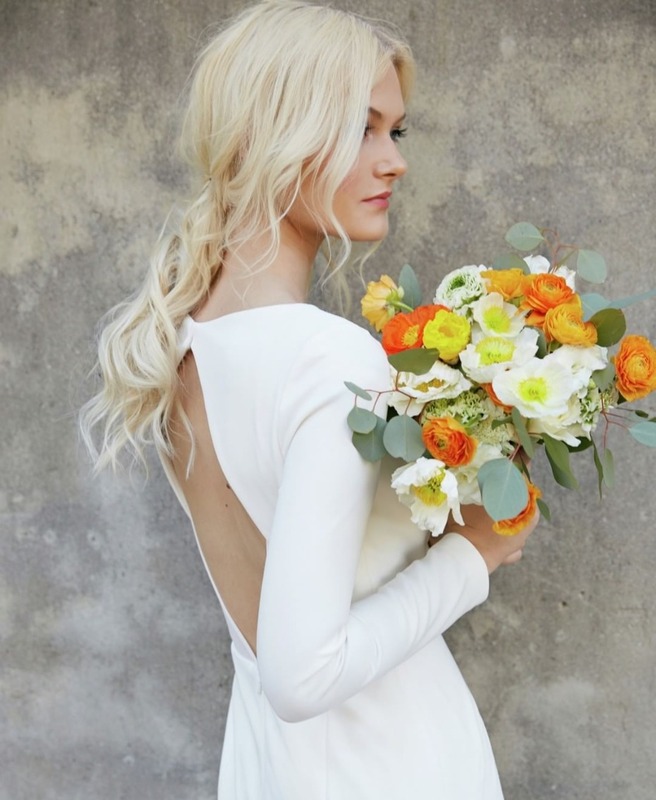 Brides to be, are you still lusting over Meg's sleek and polished look? Well, we’ll help you out! 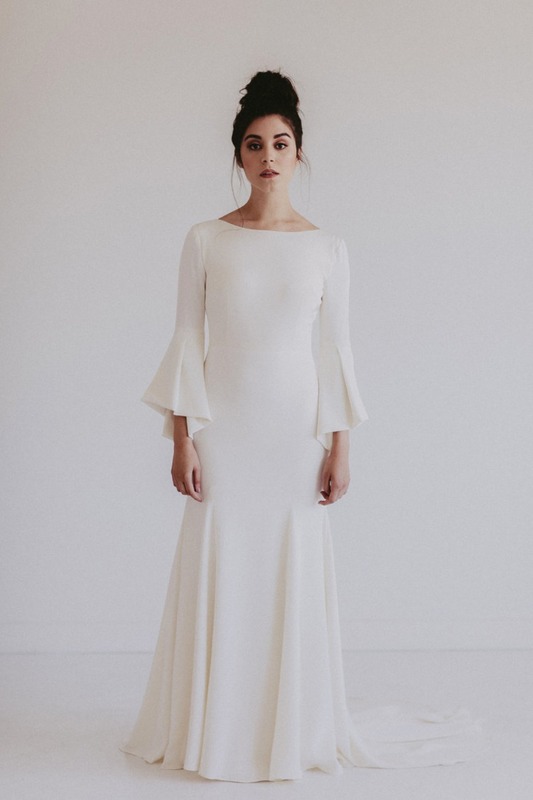 We’ve scoured social media and some of our FAVORITE designers’ latest collections, on the hunt for simple silhouettes, boat necks, long sleeves and stark white palette styles, and rounded them up for your pleasure. Some are totally dead on, others are more ‘inspired,’ but they’re all majorly Meghan Markle. Scroll 👇👇👇 for all the pretty!! Including one from Pronovias, YUM!! !